The last two stanzas are the details of the charama SlOka, uttered by the Lord. To attain me, give up all the means I had stated and surrender unto me as the only safe refuge, Be confident with heavy heart. When you have such firm faith, I with all my knowledge and auspicious qualities, shall bail you out of all the obstacles so that you attain me. O Lord! I am unable either to perform my actions within my reach or give up them with absolute unshakable faith in you. I am depressed with sorrow. 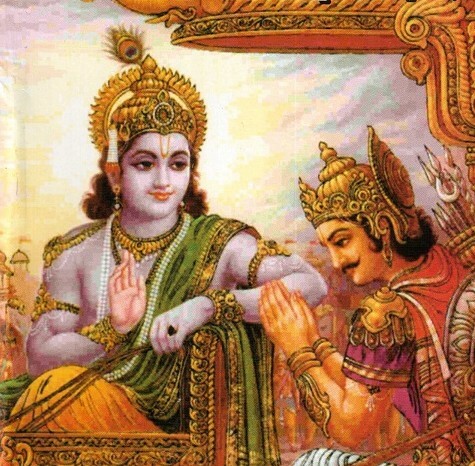 As You gave me this much of feeling and wisdom I am confident that as stated by you in your charama SlOka, You shall remove all my ignorance, shortcomings, and obstacles and save me in your fold.